What’s really converting new customers? That hilarious new company ad all your followers retweeted or that Facebook link generating shares AND comments from people across the globe. Using social media is becoming an increasingly important part of marketing strategy but because it’s relatively new, analyzing the data to figure out what’s working best is still in its early stages. 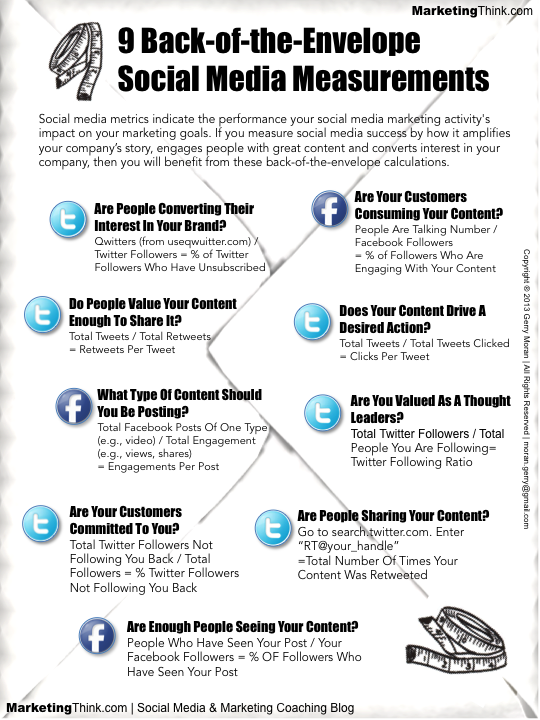 Let these “Back-of-the-envelope” measurements by MarketingThink.com help you carve out a way to understand and structure your social media usage to increase brand awareness and gain more followers.